How many of you went for a short break out from the busy city on last Malaysia Day? Being a Penangite, I am not able to go home during holiday season. The traffic jam, the early closure of my favorite hawker foods (Back in Penang and no food???). Fine screw that plan. People from south going north. How about I go the other way round. I visit south instead. 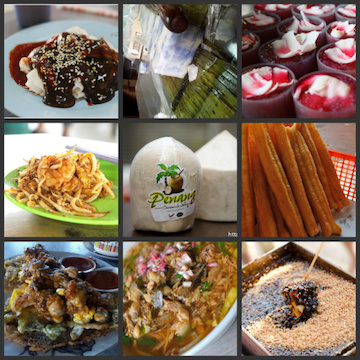 So I planned a trip down with a bunch of fellow food bloggers starting off from Desaru and ended in Johor Bahru. Below is the whole trips overview which later I will go in detail on each of the activity. There will be no tall buildings or shopping spree in this post. It is all about back to the traditional get away and also green nature scenes. Check in to the great Pulai Desaru Beach Resort & Spa which most of the rooms having a nice scene. The view from our rooms were gorgeous and so green. By looking at them already make me feel relax. So many trees and great land scape work done around the resort. Lunch with the traditional Malay village man. We get to taste the authentic traditional cooking which is simple, tasty and yet healthy. Eat sitting on the floor. The dishes is as simple as that. Transport, activities, eco tour arrangements by Pulai Springs Group are available ranging from small group to big groups. Play with a life chicken! Visit the spa to test power! That is just the overall preview of the whole 3 days 2 nights road trip down in Johor. Before this we never know that there are so many nice place that you can relax and pamper yourself during the peak holidays season. You can go too and it is pretty affordable. All the accommodation throughout the whole trip were by : CLICK ON THE LOGO TO LINK TO THEIR FACEBOOK PAGE WHERE THERE ARE FREE STAYS TO BE WON!